C language supports high level language which is user friendly and low level language which is machine friendly. C combines features of a high level language with the functions of an assembly level language. It reduces the gap between low level language and high level language. So C language called as middle level language. C contains many features of high level language like modular programming, user friendly, loop, arrays etc. C language is also related to machine level language(low). It provides features like access to memory using pointers and assembly aspects. 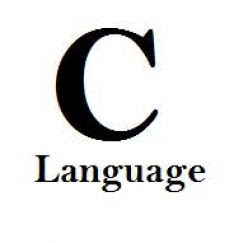 C is one of the language who able to directly interact to system. C language is used to develop both user applications and operating systems. Thus, C is called as Middle Level Language.